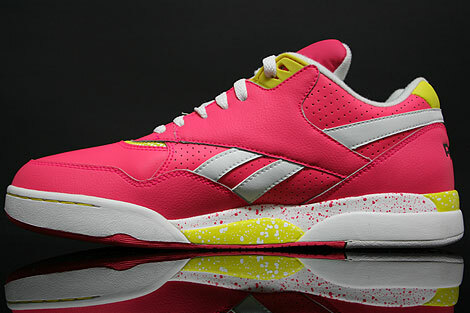 This is the Reebok Reverse Jam Low in the Laser Pink Yellow White Black colourway. 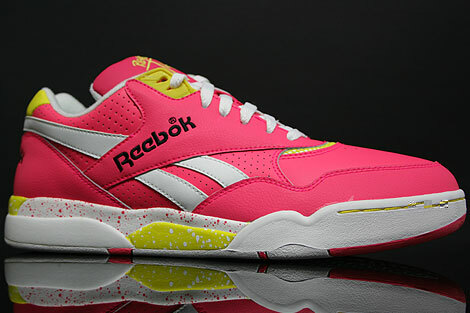 Reebok developed the "Reverse Jam" in the 90th. It provides the ultimate in a custom fit and support system. The honeycomb is one of the strongest yet lightest shapes found in nature. 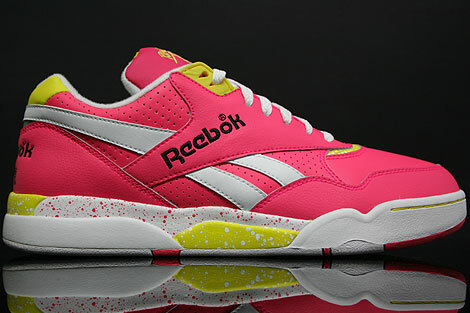 With modification, it was the theory behind the development of Reebok's Hexalite technology. The Hexalite honeycomb design spreads shock over a larger area then EVA or polyurethane. 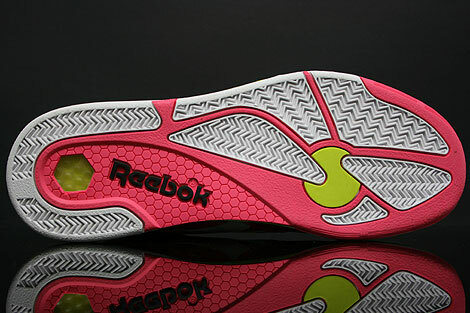 As a result it combines cushioning and light weight for superb performance! 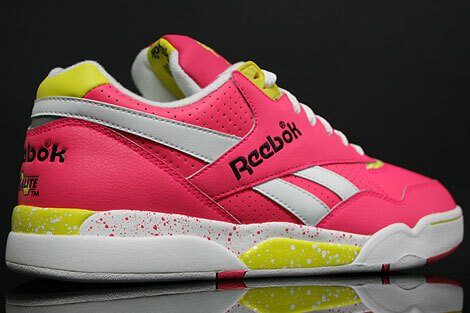 Available in very limited quantities and only in very selected stores in Germany! Fresh colourway for the next Summer.